Premier Tech’s Industrial Equipment Group focuses on material handling. RIVIÈRE-DU-LOUP, Que. – Premier Tech has made its eighth acquisition—and first in Quebec—in the past 18 months. 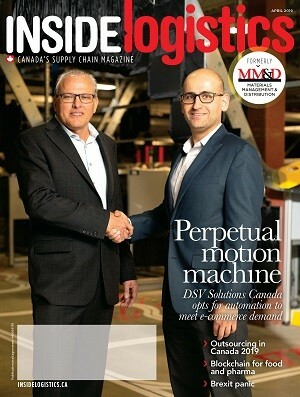 With the transaction, Premier Tech acquires Saint-Hubert–based engineering firm Automation Machine Design (AMD Inc.), which has specialized in designing and manufacturing automated and robotic industrial equipment for 25 years. Premier Tech and AMD Inc. share a common vision: developing sustainable solutions. Further to the acquisition, Premier Tech’s Industrial Equipment Group will be able to leverage the AMD team’s expertise to support its accelerated growth and boost its engineering capabilities in automation and manufacturing. Nearly fifty people will bring their experience and know-how to the Premier Tech Team, which is active on five continents. “Our Industrial Equipment Group has experienced continuous and sustained growth since its creation in 1990,” said Premier Tech president and COO Jean Bélanger. Premier Tech has been growing its leadership position globally for 95 years, driven by its 4,200 team members in 25 countries. It focuses its efforts in three core industries: Horticulture and Agriculture – greenhouse production, agriculture, and lawn and garden; Industrial Equipment – rigid and flexible packaging, material handling, and palletizing; and Environmental Technologies – wastewater treatment and rainwater harvesting. Premier Tech today records sales of nearly $800 million a year. Before acquiring AMB the company’s Industrial Equipment Group (IEG) bought Australia-based Kockums Bulk Systems in March 2018. Kockums Bulk Systems is a 68-year-old company that specializes in packaging equipment and bulk powder handling. 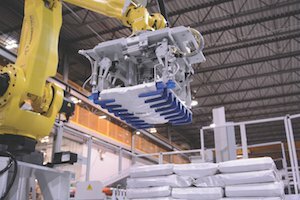 Other recent expansions include the acquisition of Swabo Machinebouw & Toelevering, located in the Netherlands; an investment of $2.254 million in the manufacturing facilities operated by the company’s Industrial Equipment Group in Caraquet, New Brunswick; along with other company buys in France and India in 2017.